The above rhymes probably best describe the kind of artistry that both writers were involved in during their peaks. Islam in his poem 'Shadhona' urges people to rise against injustice. So much so that he asks young revolutionaries to lift weapons and fight back instead of being slaves. It is clear that Islam's writings exhibit a sense of urgency in the quest of a national administrative change. Dylan, considered to be the face of protest music in the United States and the United Kingdom, wrote 'The lonesome death of Hattie Carol'. It was a tribute to a middle-aged black barmaid who died after being struck with a cane by William Zanzinger, a wealthy tobacco farmer. The incident took place at a charity ball in 1963 segregated Baltimore, Maryland. Zanzinger was sentenced to only six months in prison. Mike Marqusee in his book 'Chimes of Freedom' writes that it was this mild sentence that urged Dylan to make the song. 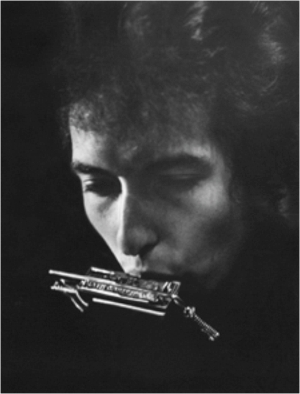 In the song, Dylan criticizes the judiciary system and terms it 'hollow'. Comparing certain rhymes from both these artistes not only highlights their common school of thought, but also throws light into the daunting political situation of the 1900s. It is important to note that both Islam and Dylan were born into extremely different cultures. While Islam was born to a poor family in West Bengal, Dylan was born to a close-knit Jewish community in Minnesota, USA. They were both influenced by classical music and used it as a tool of defiance in their later years. Apart from growing up in different environments, both artistes had other influences and were at their peaks during different generations. Despite the varied differences, a common thread binds them together: their rebellious nature. The lasting influence that Islam has had in Bangladeshi music is evident. Modern day musicians in Bangladesh have produced several remakes of his songs. Artcell, a four-member band, produced a metal version of Islam's song 'Durgom Giri' and released it in 2009. 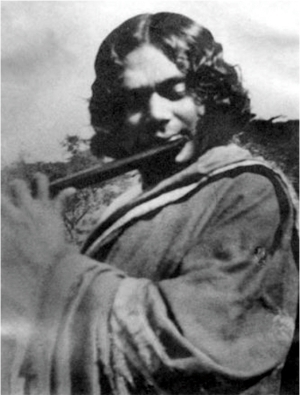 “Although Nazrul had written his songs ages ago, I find his lyrics to be very metal. If he was alive today I'm sure he would have been a metal artiste,” says Lincoln D'Costa, vocalist of Artcell. While Islam's writings were, in a sense, directed against the colonial empire of the early 1900s, Dylan on the other hand raised his voice against the American administration in the 1960s. In the song 'Masters of War', Dylan blames the 'people sitting behind the desk' as the root cause for wars. 'Masters of War' is not necessarily concerned with the imminence of war. The song prosecutes the forces that profit from fear and violence. It talks about the political games played by the government and condemns them. So much so, that Dylan had decided to end the song on a very bitter note which, according to Marqusee, Joan Baez, Dylan's co-artiste, refused to sing. Dylan, like Islam, was no liberal. In a bid to protest against the war in Vietnam, he wrote 'With God On Our Side'. Rather than directly criticising the war, the song plays around with American history and questions the historical facts fed to the public. Then fire them we must. The song not only opposes the war in Vietnam, but also questions the authenticity of American history. It narrates an alternate form of history. Through his songs, Dylan conveyed his stance on world politics. It was quite evident that he was haunted by the arms race and was also against a system that believed in world wars. Both Islam and Dylan were disturbed with the act of discrimination based on any ground and their writings campaigned against it. While Dylan wrote songs condemning racism, Islam wrote against untouchability and other adverse practices. In 'Manush', Islam describes a human-being as the most sacred object in the world, incomparable to the world's scriptures and other religious sayings. Islam who himself was often criticised by both Muslim and Hindu fundamentalists due to his unorthodox school of thought, wrote about an imaginary world that had no divisions. The “walls” here stand for religion, race, caste, ethnicity etc. As Langley puts it, “Nazrul's message to us is to be the 'Rebel' and crush these walls in our lives and elsewhere.” He was one of the earliest poets to have raised his voice against religious fundamentalism in Bengal. His poem 'Gorami Dhormo Noy' or 'Fanaticism is not a religion' criticises priests and mullahs, and calls them blind. Islam was not an atheist; several of his writings indicate that he believed in God. However, he was against the tyranny and chaos that took place in the name of religion, caste and every other basis. “The fact that Islam constantly wrote against religious division, caste division and gender inequality in the early 1900s goes on to show that he was a highly-educated activist who fought for the masses,” says Michael Gomes, bassist of 'Shunno'. The 1960s witnessed a number of mass uprisings against American apartheid. Protests took place with thousands of people fighting for an egalitarian future. These uprisings saw various artistes singing for freedom and equality. The 28th of August, 1963, witnessed one such demonstration where more than 200,000 people gathered. According to Anthony Scudato's biography of Dylan, the American artiste had sung two songs that day, and both the songs struck powerful chords with the crowd. His first song, 'When the Ship Comes in', spoke about the dream of equality. And they'll jerk from their beds and think they're dreamin’. The 'ship' in the song stands for righteousness or revolution. Unlike the liberals, Dylan wasn't going to be happy with a mere agreement or apology, he wanted them to be defeated and be conquered. In his next song, Dylan, in contrast to the more moralistic belief of the movement at that time, condemned racism as a product of corruption and dirty politics. On a day when other singers sang songs of freedom and equality, Dylan, sang against the community's biggest problem - racism. Islam in a similar manner tried to address issues such as discrimination based on religion, casteism and various other subjects that divided society. Despite the fact that both Dylan and Islam's writings were rebellious in nature, it should be known that neither of these artists actually proclaimed themselves to be rebels. Dylan himself was annoyed by the fact that the British and American media had termed him as a protest musician. In a similar way, Islam was given the title as a 'rebel' only after he had written 'Bidrohi'. Although both Dylan and Islam's writings have managed to influence people from various parts of the world, it is a pity that politicians of their respective eras, had completely opposite opinions. The division of India, which eventually led to the division of Bengal, based on religion, and the various wars that the United States waged and had been a part of, were the kinds of events that both Islam and Dylan opposed. It is a pity that both artistes witnessed their dreams getting shattered in front of their own eyes.